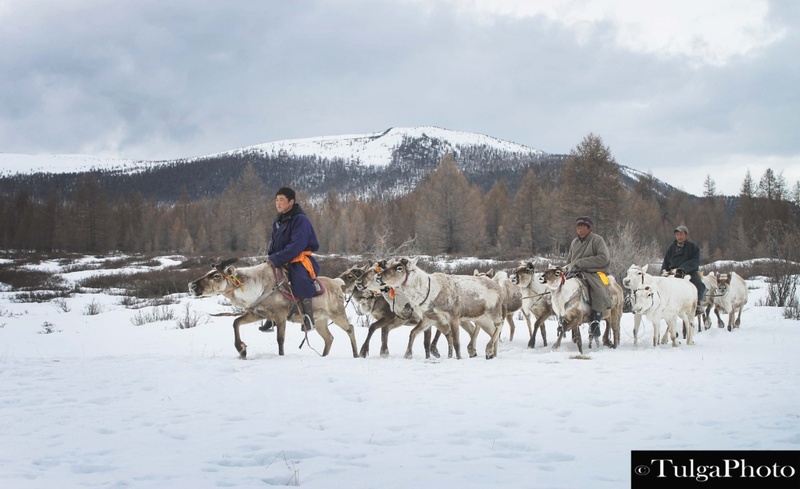 Nomadic Migration- Reindeer herder’s tribe is on the move. 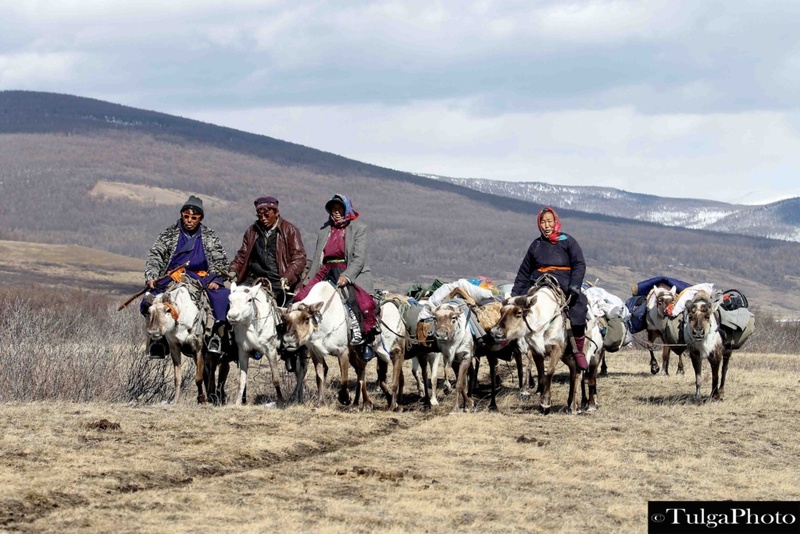 This endless journey is a part of Nomadic Culture and fascinating experience to witness. 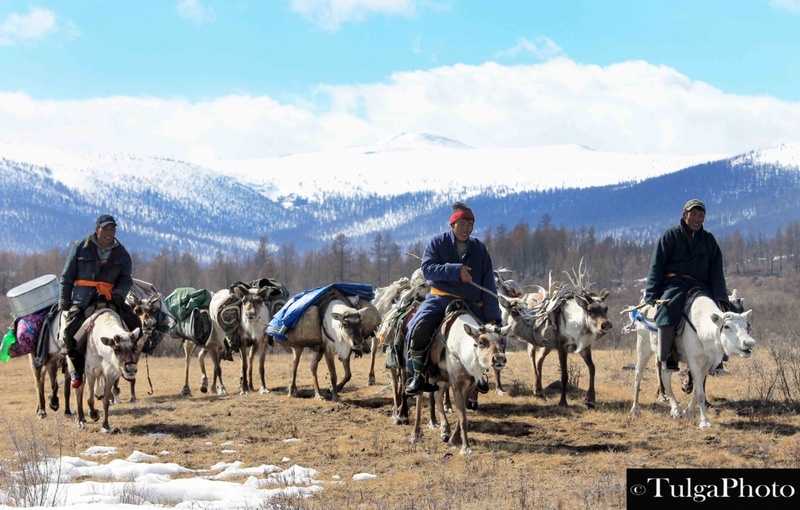 These pictures were taken in Taiga, North region of Mongolia by Tulga, our tour leader during reindeer herders movement from winter base to spring camp. We are happy to share these pictures with you. 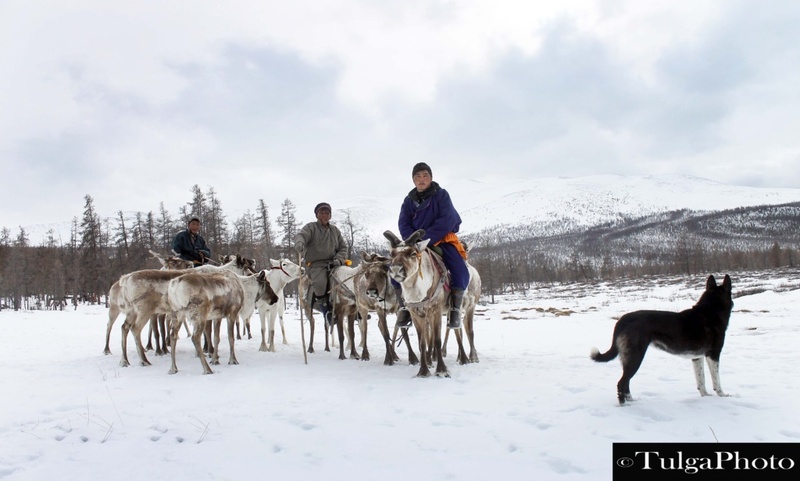 Reindeer herders move their camp at least 6 times in a year for better grass for their reindeer. 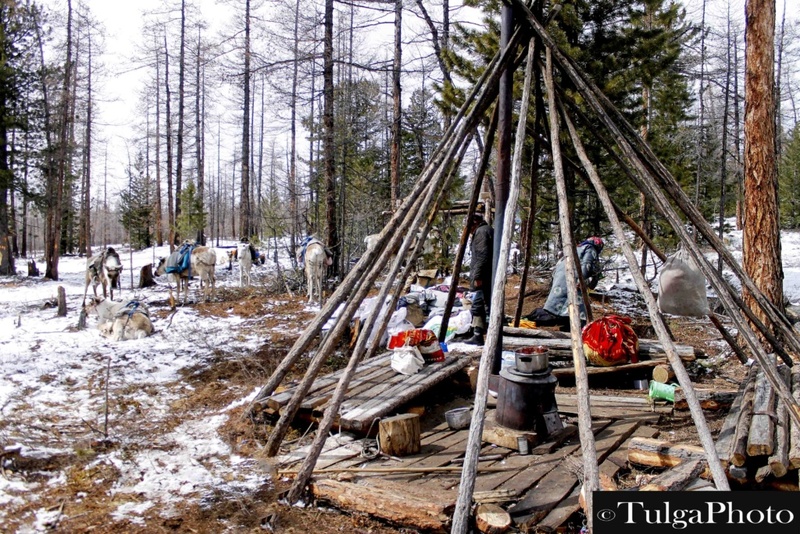 They actually take all the their belongings and move to designated next camp. 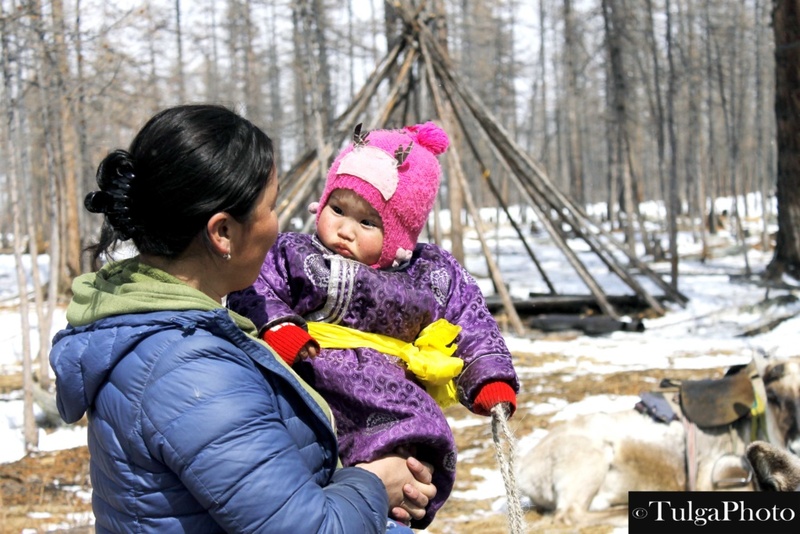 To put up tee-pee is easy job for them and usually take them for 30-40 min. 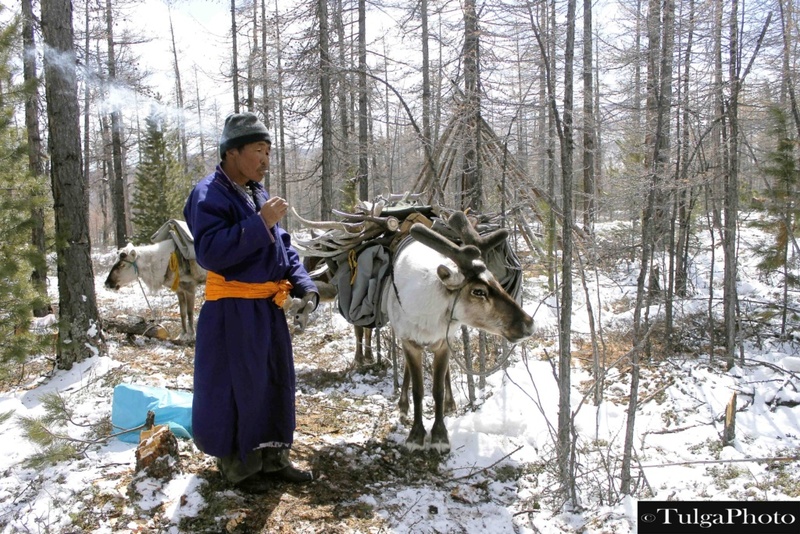 Any nomads, don’t need any other heavy equipment of furniture in order to pack their reindeer or any means of transport. They prefer simple. The whole preparation takes a about 2-3 hours only. Once they are ready, it only takes half an hour to pack. Packing needs more skillful work in order not to break reindeer back. Both man and women involve in it. 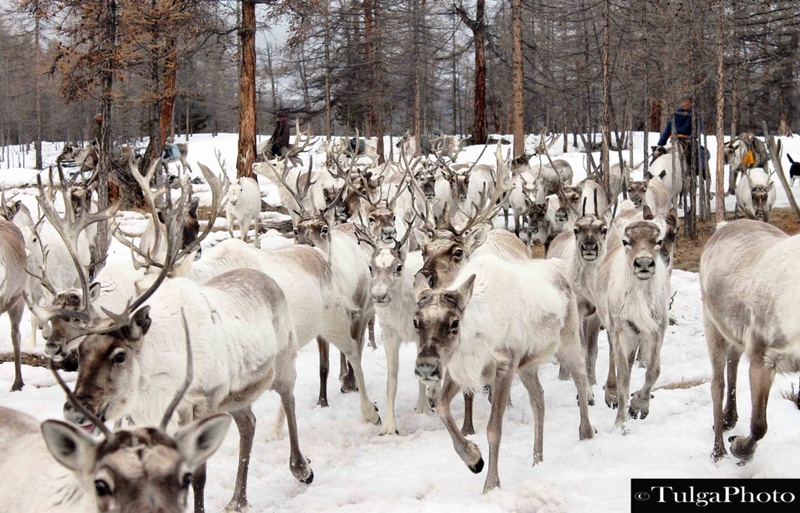 It said we can load up to 80 kg pack onto reindeer. Children help their parents a lot. 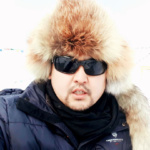 In this year, school holiday took it long brake for children because of unusual coldness. It made children going back to home helping their parents. 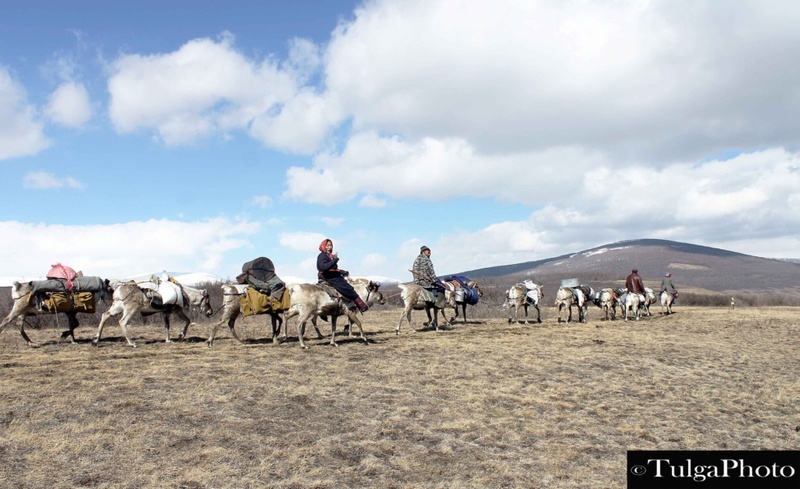 Moving from winter camp to spring camp takes a few hour journey. 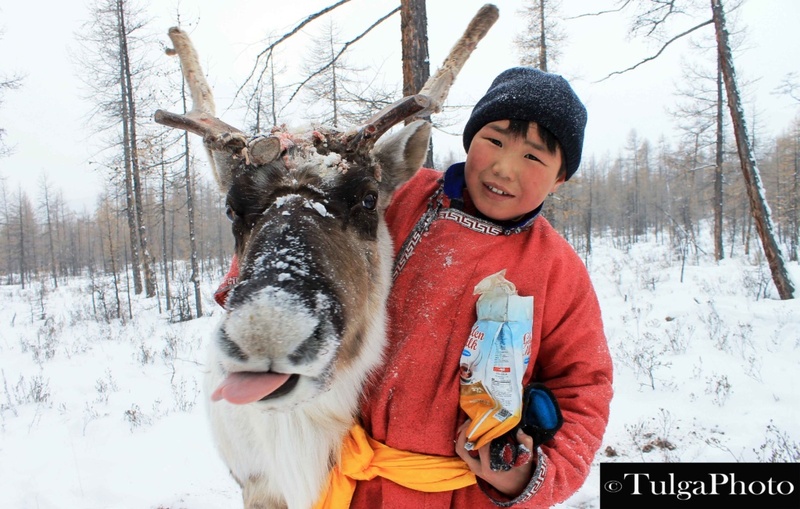 His name is Gaala, lives in both east & west taiga. His relatives in both places. 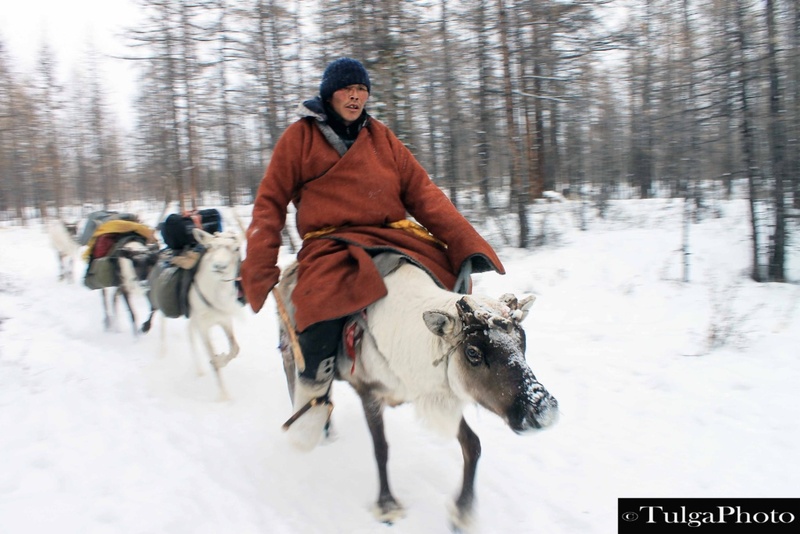 It seems he lives more in west taiga. 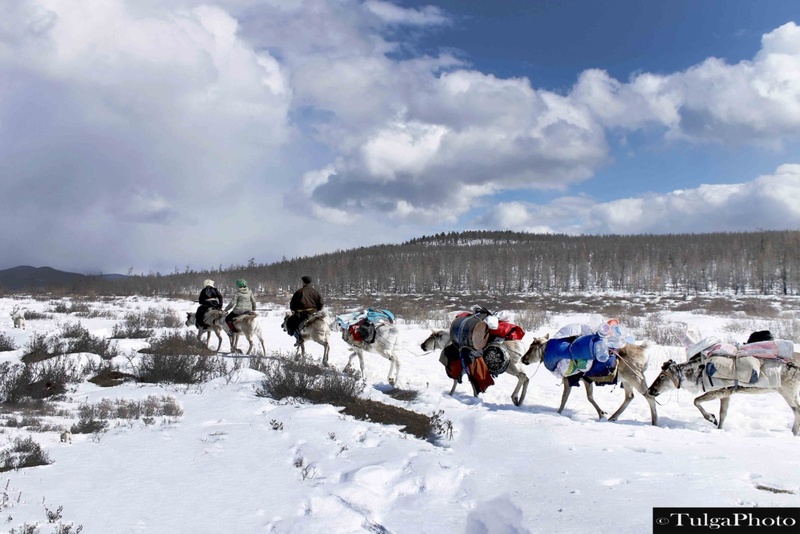 Temperature reaches in -30-35 easily in this region and these people so used to with this coldness. 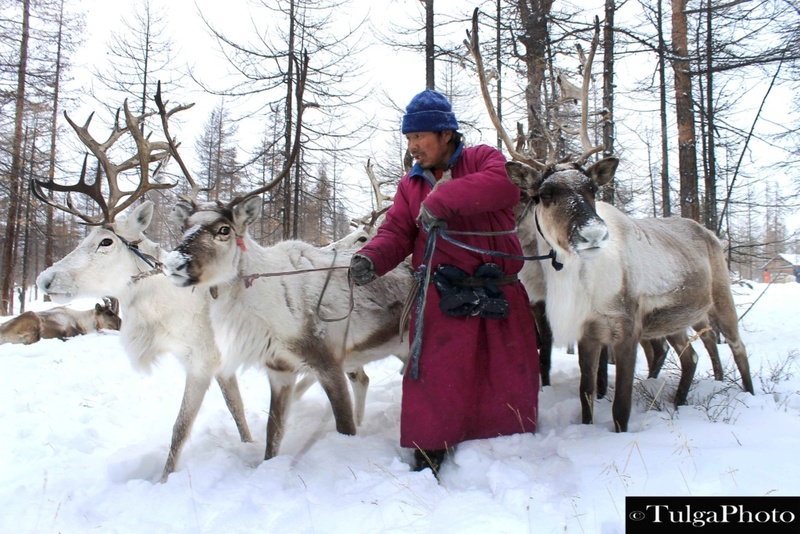 Ganbaatar, reindeer herder is collecting his reindeer for the movement. It seems more experienced young men lead the whole group for the movements. Dalay, Purevbat and Battulga are leading first group. There will be a few groups, according to number of settlement and usually 6-7 group head to next camp. Baayei, Tsoghuu, Buyana and Puujee are taking group in the middle. This part is rather slower to others. Picture 13. 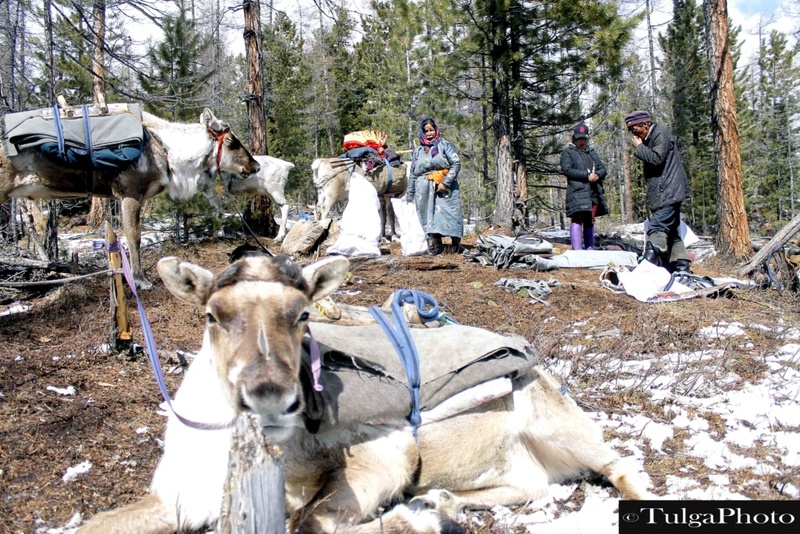 Bringing reindeer to next camp. 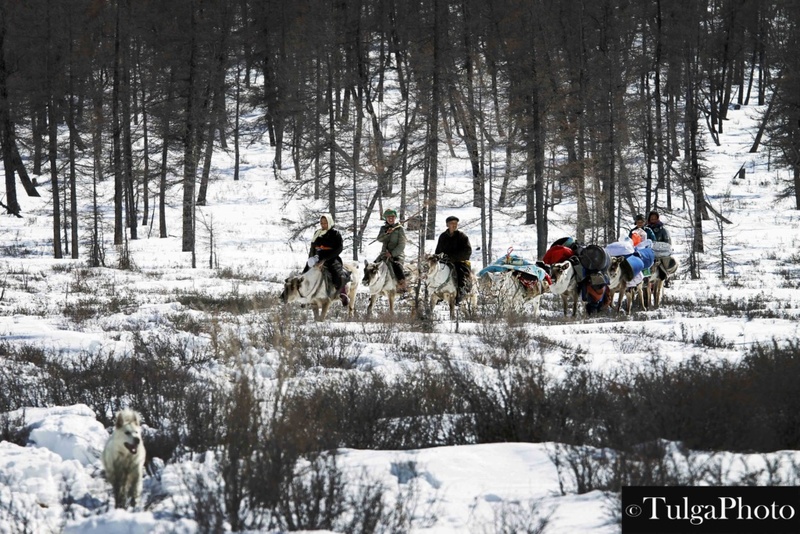 Mostly young man and boys head back to old camp to let their reindeer drive to new camp. Good weather is essential but it seems they wouldn’t really worried unless it is big storm. Picture 17. Young men taking break.